Over the last few years, the internet site Facebook has grown from being a social networking platform to become one of the leading touchstones of communication in contemporary culture, that prevails in nearly all aspects of mediated life online. With over 1. 15 billion users on a global level, and still growing daily, its inﬂuence on social spheres can only continue to increase. Facebook Court was social experiment to see if it is possible to create a model for online legal practice, using Facebook as a democratic social and legal tool. Through its “sharing”, “liking”, debating and commentary, Facebook allows for an ease of opinion and view points to be shared like never before on a global level. The idea for Facebook Court was to create a mock legal trial that will be debated online from an open Facebook community from mid November. After two weeks of debate around the case study, Facebook users were able to vote on the verdict. 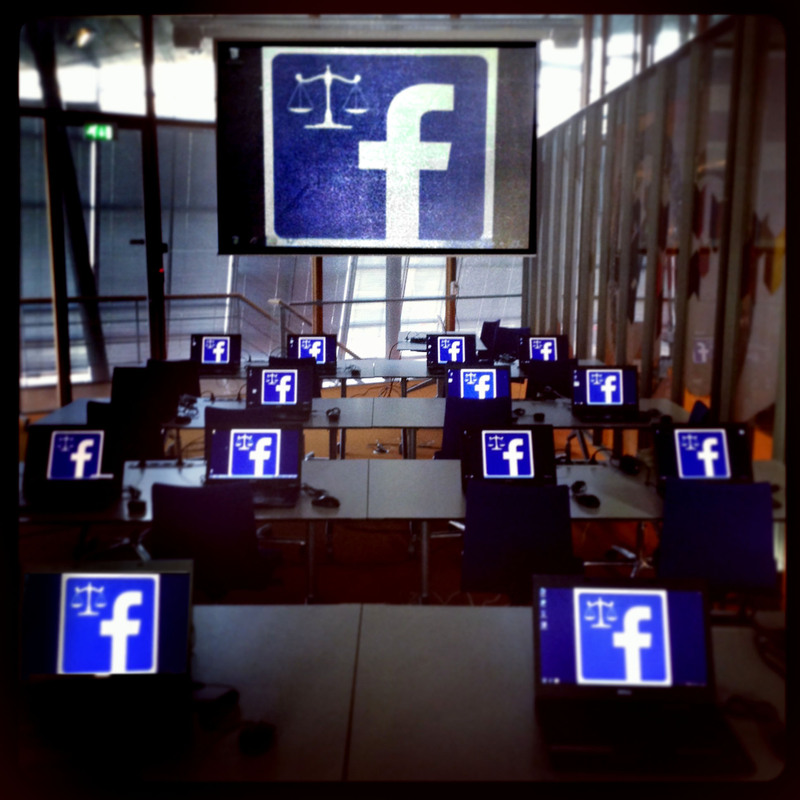 Facebook Court is part of the future of law conference presented TU Delft and the European Institute for Technology in December 2013.